Most women want silky smooth and hair-free skin as much as possible. Not all ladies were blessed with beautiful skin, which is why many of them crave for the best possible solutions. A good quality shaver is often the best and most affordable option to stay hair free, but it can cause skin irritations with frequent use. This is where an epilator comes in. This article will look into the six best epilators for Brazilian and bikini area to help you make the right decision. The SE3170 is designed to ensure hair-free skin without causing any pain and/or damage. Its softlift tips remove each strand of hair gently to prevent any skin irritations or discomfort. The epilating head has massage rollers that allow for skin stimulation that helps minimize the discomfort being felt during the procedure. This Braun epilator also comes with two different speed settings. The lower speed is perfect for users who want a more gentle epilation process, while the higher speed is for those who want a quick hair removal. The latter will surely work great for busy people with high pain tolerance. Depending on your body’s hair growth rate, you should be hair-free for up to four weeks. The Panasonic ES-WD51-P is an epilator that you can use in and out of the shower. It offers convenience and precise performance in keeping your skin smooth and hair-free. Its pink body is ergonomically designed for easy handling and grip. Furthermore, you can quickly store the unit in its travel pouch. This epilator has over 48 tweezers and can lift as many hair stands as possible in one pass. Its previous version only had 36, which means Panasonic did the necessary upgrade for better epilation. Charging is not a problem, as well, because it can be fully charged in just an hour. A fully-charged ES-WD51-P can already provide you with about 40 minutes of epilation. Best of all, Panasonic had this device covered by a two-year warranty. The Philips HP6401 is capable of efficiently removing all unwanted hair on your target area. It has 21 tweezers that effectively pulls out as many hair strands as possible in just one pass. 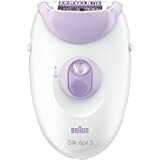 If you find waxing painful and time-consuming, then this epilator can make the process shorter and almost pain-free. This unit comes with a removable head, which you can easily wash to keep it clean. Its cap helps reduce the amount of pain felt during the epilation process. Even though this is a corded device, the cable is long enough to let you move around with ease. There are two-speed settings available, and the unit is covered by a two-year warranty. The ES-WD51-P epilator can be used in wet and dry settings. It means you can remove your unwanted hair in or out of the shower without worrying about damaging the unit. This cordless epilator also allows you to move around with ease. Charging this device will not be a hassle as you only need an hour to fully charge it, giving you up to 40 minutes of epilation. Its feminine look makes it more attractive, as well. It comes with beginner and normal caps to make the epilation process more manageable. With over 48 tweezers working on your target area, you are sure to enjoy hair-free and smooth skin in no time. The whole package comes with shaver heads and trimmer heads, as well as a cleaning brush and a travel pouch. The Emjoi Soft Caress epilator lets you achieve that smooth and flawless look with ease. Epilators let you stay hair-free for a long time without having to shave or pluck frequently. This device lifts every strand gently to prevent any skin irritations. It has 36 gold-plated tweezers that are guaranteed hypoallergenic, which means people with sensitive skin can use this device. It is also easy to reach difficult areas because of this epilator’s cordless feature. You can work on the area comfortably without worrying about the wires getting in the way. Moreover, this Emjoi epilator is not only for your bikini area, but also for your legs, face, and underarms. The Remington EP6025 has plenty of features to offer to let you create the best Brazilian style on your bikini area. This device has both corded and cordless options, so you can always choose either one of them when necessary. It has 42 tweezers that move to pull out as many hairs as possible in one pass. In addition, the EP6025 comes with an adapter should you wish to remove facial hair. There are two-speed settings available so you can choose your desired epilation set up. 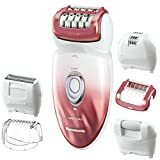 The best thing about this unit is that it removes unwanted hair and moisturize your skin at the same time. A good epilator can keep your delicate area smooth and hair-free without leaving any rash and other skin problems. You no longer need to shave or wax often to keep your target areas hair-free. Companies have developed a wide range of epilator options to perform hair removal in different areas of the body. The models discussed above offer varying features and have received great customer reviews. One of them could best suit your epilation needs, so take time to read the reviews carefully and compare each model. Unwanted hair can affect a person’s mood and/or confidence. Women, in particular, are more conscious about their overall look, especially around the bikini area. Methods like shaving, depilatory creams, waxing, epilating, and threading are the best hair removal options today that are generally cheaper. In this article, you will be introduced to these hair removal methods that can give you the best possible results. Handheld razors and electric shavers are your best options when it comes to shaving. Handheld razors include shaving systems (with replaceable blades) and disposable razors. These tools are used by both men and women, especially during travel. This method involves the application of a layer of wax on the skin, and allowing it to harden or applying a fabric strip to pull out the hair. The strip or wax lifts up the hair from the follicle, making regrowth much slower than shaving. It usually takes a few weeks before the hair grows back. Waxing is great for large areas, like the back, legs, underarms, and bikini line. Depilatory creams are like the chemical version of razor blades. They use a chemical that helps dissolve the hair’s protein structure to separate it easily from the skin. They are usually messy to apply and tend to be smelly. Regrowth can also be thorny. This method is not advisable on inflamed or broken skin. It will be wise to do a patch test to check whether depilating is for you. Trimmers are often preferred by men to create a shabby look. A good quality trimmer can keep facial hair tamed. It can also be used on intimate areas. Tweezers are great for eyebrow sculpting, and getting rid of odd stray hair on other areas. Tweezing, however, is time consuming for the larger areas. This method can be useful for the removal of splinters, as well. Epilating uses tiny rotating tweezers to remove unwanted hair. Unlike waxing, this method works without creating any mess. The good thing is that you can stay hair-free for several weeks. The device used, however, is more expensive than the other tools on the list. Threading uses a cotton thread that is twisted and rolled across the skin to lift the hair up from the roots. This is an ancient hair removal method that is still being practiced today. It requires a special skill that is often only available in some salons.